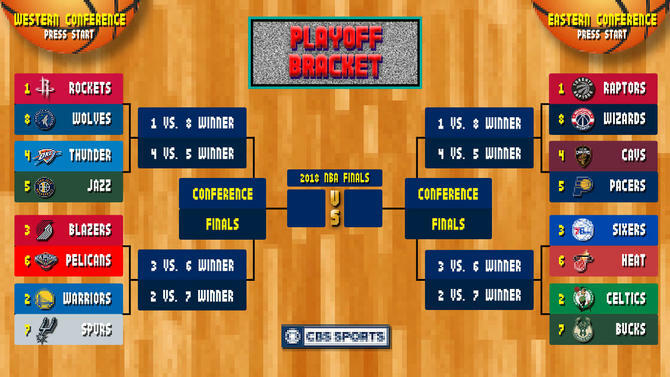 Official 2017-2018 NBA Playoffs thread! We'll see if the Warriors recover from the end of the season stretch of stinkers. Green is obviously making the HOF. Not even sure how that is a controversial thing to say anymore. And yeah, it's true he couldn't be option #1 or #2 offensively on a good team. But why does that matter at all or have any bearing on this topic? So if he's in, Andre has to make it too right? Is Andre Iguodala a hall of famer? He has a better overall body of work than Draymond, he has led a team before which is something most people think Draymond can do and he has the championships and a finals mvp award. If Draymond is going to the hall of fame, why shouldn't Iggy? The multiple all-star appearances, DPOY awards, and Olympic gold medals might help. He'll likely miss out, but you're right, the Warriors do have 4 HOFers and one other one that you could at least make the argument for. It's amazing that LeBron even took a game off them last year. Andre has been an all star, he's made the all defense team. He's led his own team. He's been a finals MVP. He has multiple rings. He has an Olympic medal. Even if their accolades aren't exactly the same, they still have a lot of similarities so if one goes in, the other has to go in. The big difference is that at one point in Iggy's career, he was the first option on a team, Draymond will never be that. Imagine prime Iggy on the Warriors and he's far better than current Draymond. Imagine Draymond on the sixers teams Iggy had and he's a forgotten player in the NBA history books. Well one thing we do know is that Miami had 4 sure fire HOFers on their title teams. Kevin Love and Kyrie Irving are hall of famers. So that's 3 vs 4. And LeBron being as great as it is, the gaps even closer. So it's a shame he could only take 1 game off them if you want to play that game. And they lost to what might be the worst team to ever win an NBA title in the Mavs. Lebron averaged a whopping 17 ppg in that series. Bit of a difference here especially when you consider one of these guys has his whole career ahead of him still. If Boogie didn't get hurt, New Orleans would be scary as hell. And Rondo would average 20 assists every game in the playoffs. I'll take the extra Hall of Fame player Green + fringe Hall of Fame player Iguodala over Tristan Thompson. Lmao @ including college accolades. Especially the big 10 accolades. And you say that Draymond still has a whole career ahead of him...do you think he'll get better? He's already peaked in 2016. You think he'll get better or worse from now on? Curry and KD are HOFers, Draymond Green is a borderline HOFer.